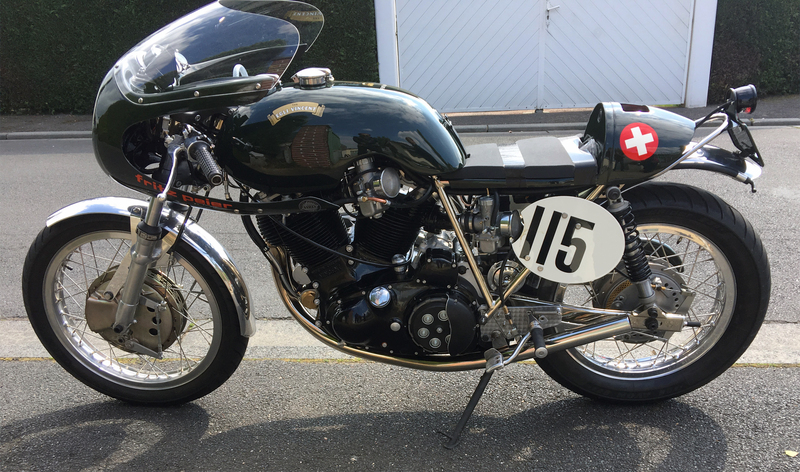 Should the Egli-Vincent be your dream bike, you certainly know Fritz Peier who won the Swiss hillclimb championship in 1969, succeeding to Fritz W. Egli winning the 1968 title. 1969 was also a time when Japanese works had been hammering motorcycle racing for about one decade, particularly in the Continental Circus where MV Agusta was one of the only remaining European brand to withstand the huge pressure from Japanese works. However, for the popular hillclimb races, competing with a British twin was still a reasonable plan to win. So when Fritz W. Egli upgraded the performance of the 1000 Vincent with his new chassis, he not only gave to his 17 years old Vinnie the wings of victory, but he also delivered thrills and pride to enthusiasts while the battle of the marques was in full swing. But the Swiss hillclimb championship was much more than what you could think! It was a championship recognized internationally as very challenging in a fantastic mountain setting, and the Monte Generoso climb attracted regularly famous riders like Giacomo Agostini and Mike Hailwood with their works racers. It was indeed challenging for internationals because local riders knew these climbs on their fingertips, and also because the works racers were designed for high speed on tracks with high-revving engines; difficult for these machines to compete with the massive low-end torque that the British twins could deliver out of tight corners in the climbs. 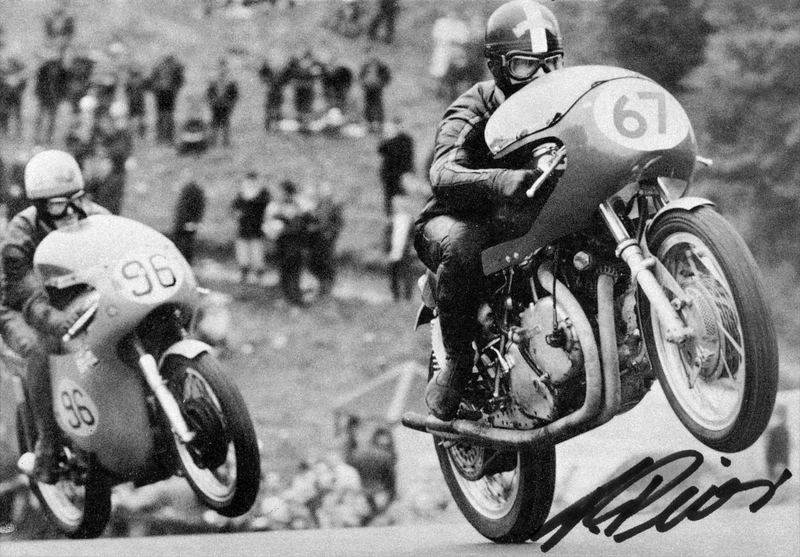 At that game Fritz Peier and his Egli-Vincent were definitely a pair of aces, holding the fastest time up of Generoso hill until 1973. Fritz W. Egli reminds of him as a phenomenal diagnostician and told me this anecdote when Peier came back from his first practice of the Generoso climb in 1969: ‘Check exhaust tappet clearance of rear cylinder, I need one tooth more at the rear wheel sprocket, hang carb needles one notch higher, richer and give a bit more cable slack at front brake’. Once done, he went out for the next practice and set a new track record! 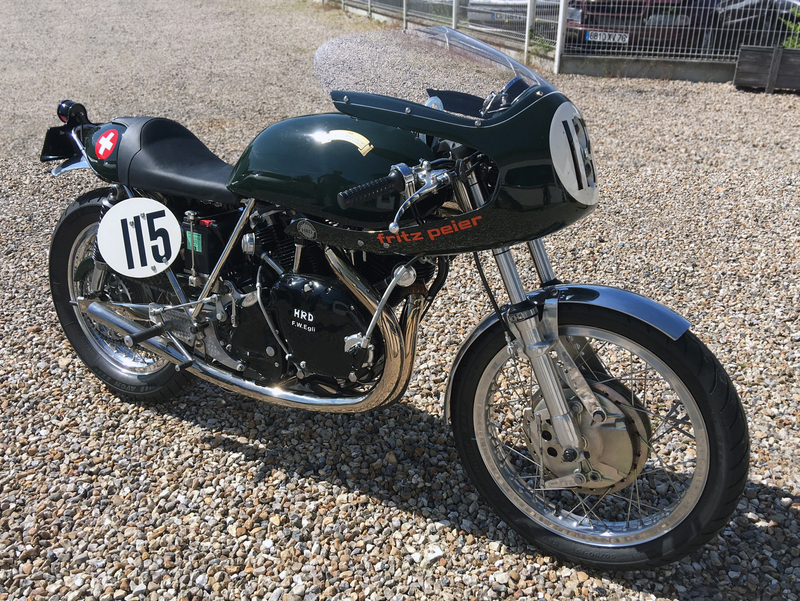 Many Egli enthusiasts also see Fritz Peier’s bike as the most resulted of all Egli-Vincent models with its redesigned tank and seat (British Racing Green of course) and the addition of the half-fairing and crossover straight exhausts. This historic bike still exists – in Germany – and is currently being restored to the original spec by his owner. 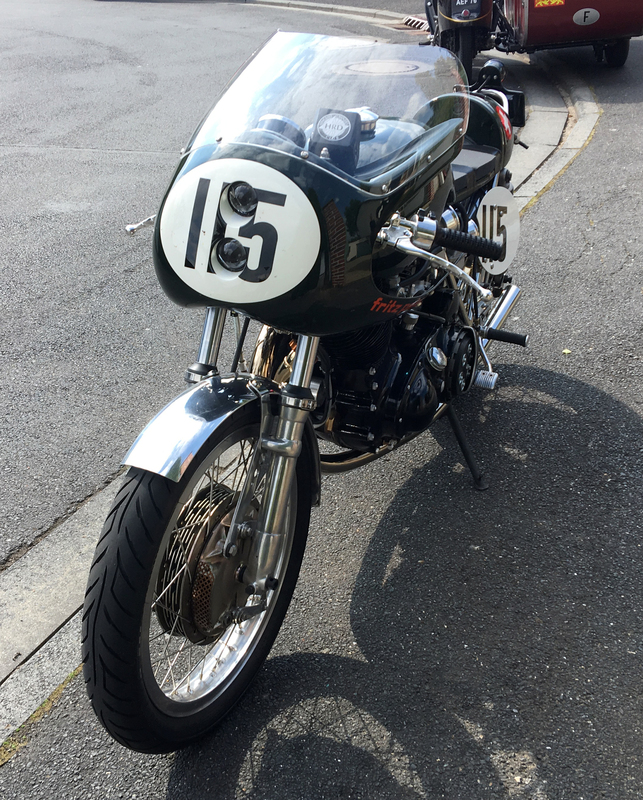 This bike is the dream for many Vincent enthusiasts that led one of them to build a tribute bike with the support of Patrick Godet. Patrick is so enthusiastic by the result that he is thinking seriously to make a limited edition of five bikes to be available from 2018, just ahead of the 50 anniversary of Fritz Peier’s Swiss hillclimb title (see poll at the end of the post and give your opinion). The Continental Circus between 1949 and 1979 was first dominated by the British bikes (blue) but very quickly the Italian multi-cylinders (green) took over for about 20 years, particularly in 500/350cc. 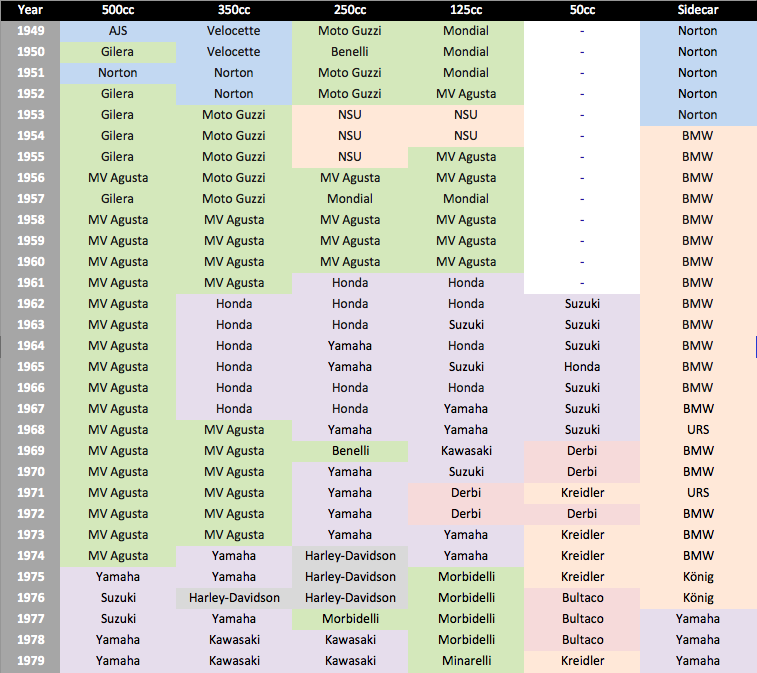 Interestingly you see the same pattern for the Japanese works (purple) entering the smaller classes and eventually winning over the 500cc class. Remember that Honda pulled out of Grand Prix for 1968 to focus on Formula 1, which somewhat explains that MV and Yamaha took leadership from there. Prev Is that the 2020 Vincent? I remember it well. Saw my first Vinnie in a hill climb in Nairobi in 1963/4 when I used a Norton. I wonder if Motability will provide me with one? read your article on EVC recently. Thanks to Patrick the Peier Tank is ready for painting, so the bike will be back to its old glory with all the patina soon. 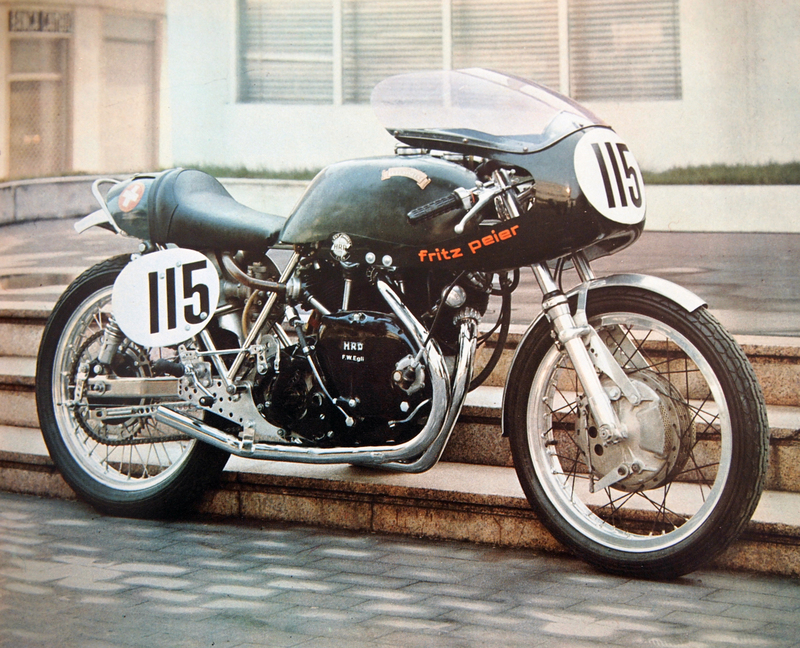 For the 50 aniversary of Peier`s title we should plan to contact Fritz Peier and reunite him with the bike. If you have his address- I haven`t – can you contact him make.